As prospects of a Mars sample return mission or even a manned mission to Mars are becoming increasingly realistic, the danger of biological invasions from space or, on the other hand, the danger of contaminating other celestial bodies with terrestrial microbes attracts more of the scientific community’s attention. There are obviously reasons to worry. There are many examples from the past when a microbe, plant, or animal virtually harmless in its original habitat caused havoc when transferred to another continent, like rabbits in Australia or recently, a germ decimating the population of North American bats. Even the indigenous inhabitants of America suffered the consequences of being exposed to European diseases such as smallpox or measles. There is no doubt that if such a newcomer was a completely alien entity to the terrestrial environment, the consequences would be impossible to predict. To understand what is being done to prevent a possible outbreak of “space fever,” or an invasion of “space parasites,” Space Safety Magazine interviewed one of the leading experts in the field. The problem of biologic invasions on Earth. 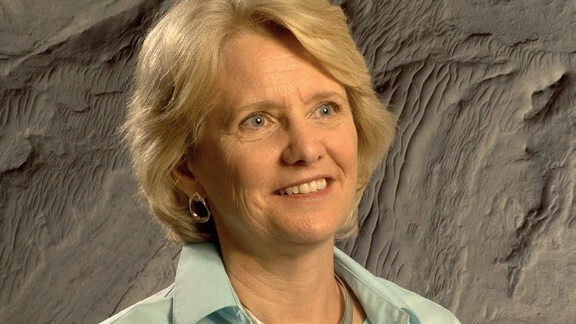 Margaret Race is an ecologist and a planetary protection expert from the Search for Extra-Terrestrial Intelligence Institute (SETI). Based in California’s Silicon Valley, SETI Institute is a nonprofit organization that aims to explore, understand, and explain the origin, nature, and prevalence of life in the universe. Space Safety Magazine: You started your career as a biologist studying invasive species in terrestrial environments. What drew your attention to space? Margaret Race: In general, my research has focused on ecological disruptions, exotic species, and environmental management. My dissertation in ecology focused on an east coast mud snail that was introduced to San Francisco Bay after the Gold Rush (it came inside barrels of oysters shipped on the TransContinental Railroad!). Later, I worked on the environmental impact reviews at the University of California in Berkeley for the first deliberate outdoor release of a genetically engineered organism. At the time it represented the ultimate in potentially ‘invasive’ species (or so I thought). Years later, I began working with NASA’s Planetary Protection Office in analyzing the biosafety concerns associated with bringing back Martian materials and helping to develop scientific protocols for the testing of samples from Mars. In case there is anything living in these samples, special care must be taken to prevent the contamination of Earth, while also protecting the samples from earthly contamination that would detract from their scientific value. 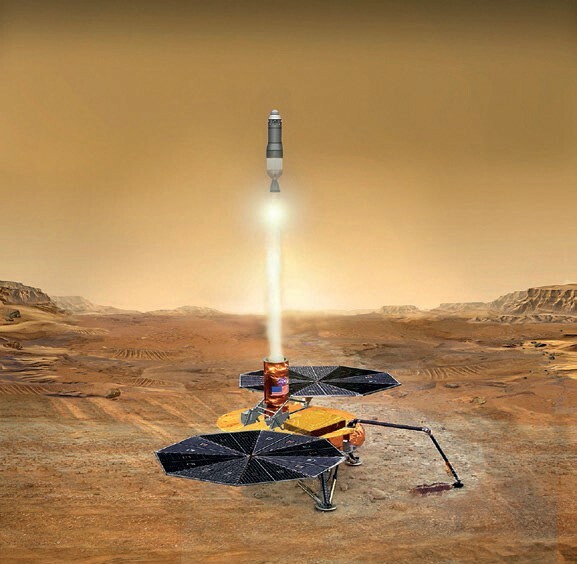 Artist’s conception of a Mars Soil Sample Return Mission (Credits: NASA JPL). SSM: It is a well known fact that invasive species on Earth can cause havoc in ecosystems where they don’t belong. But talking about a possible space contamination probably takes the whole issue another step further. What are the biggest concerns? MR: From the beginning of the space era, the Outer Space Treaty (1967) has required that launching nations take steps to minimize harmful cross contamination during space exploration. Not only do we want to avoid false positives in our search for extraterrestrial life (don’t bring life from Earth that could be mistaken for an extraterrestrial discovery), we also want to avoid uncontained exposure to anything that might be biohazardous to Earth life — whether to astronauts during future missions, or to biota on Earth exposed to materials brought back for study. Current international policy requires taking a conservative approach to space missions, including the special handling and testing of materials from other planets, especially when they come from places like Mars with potentially habitable conditions. As there is a level of uncertainty involved, we simply have to be extra careful. 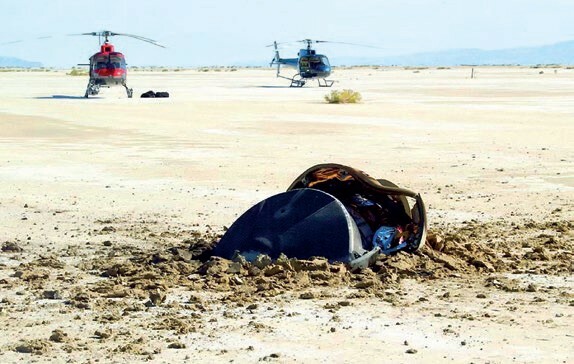 The US National Research Council, when asked about the Martian sample return, indicated that although the risks are likely to be extremely low, they cannot be assumed to be zero. Therefore it is crucial to proceed with strict containment and quarantine until rigorous scientific testing indicates that it is no longer needed. – Read about the evidences discovered by NASA of possible life on Mars. SSM: How is the current prevention program structured? What type of measures does it include? MR: In the US, all missions are reviewed by the NASA Planetary Protection Officer long before launch. Missions are assigned to a planetary protection category that indicates how stringent the controls will be. These are consistent with international policy under the Outer Space Treaty, and based on where the mission is going and what it will be doing. For example, robotic orbiter missions have different requirements than landers, and also different from missions with instruments that would dig into the subsurface. Different planetary bodies also have more or less stringent controls. The criteria are based on the habitability and perceived prospects for finding extraterrestrial life. The Moon’s ability to harbor life has already been ruled out by past studies and research, so the measures are less strict for lunar missions. Currently, Mars has the strictest planetary protection controls. Once a mission is assigned its initial level of controls, it is designed and monitored to ensure it meets the planetary protection requirements at all stages. SSM: Are there greater concerns for invasive species being brought from space to Earth or from Earth to an extraterrestrial body? MR: Both are important. In general, missions returning materials to Earth undergo more scrutiny. They also include constraints on their outbound leg; a round trip mission therefore would be extra scrutinized for both forward and back contamination. However, if a mission is coming back from a location that is essentially non-habitable, only few, if any, planetary protection requirements apply. For example, the Stardust mission that returned samples from a comet’s tail, the Genesis mission that returned particles of solar wind, and certain asteroid missions have had no Earth return constraints, because none of those locations was deemed habitable. – Read about preventing contamination issue in the Cassini mission. SSM: Are planetary protection issues gaining importance with improving prospects for a Mars sample return mission? MR: Planetary protection considerations have been important all along. A complete draft protocol for handling and testing Martian samples has already been developed and reviewed through a process that involved multiple workshops and studies over a period of about four years. It was completed in 2002 when NASA thought samples would be returned from Mars by around 2008. At this point, the draft protocol will be updated when a specific future mission is planned. SSM: What are the biggest concerns for a Mars sample return? MR: The main concern will be to keep materials contained until a complete battery of scientific tests will be done to determine whether or not there are indications of Martian microbes in the rocks, pebbles, and dust. In addition, we have to make sure that we keep the returned samples in pristine condition throughout the testing process so as not to detract from their scientific integrity and value. Finally, there is a need to make sure that a complete battery of biohazard tests is done prior to any release of pristine materials outside of the bio-containment lab. SSM: The return of Apollo 11 from the Moon represents a precedent when it comes to preventive measures regarding possible contamination of terrestrial environment during human missions. How would these measures stand up to today’s standards? MR: During the Apollo program, there was an elaborate quarantine for all parts of the missions because we didn’t know whether the Moon harbored alien life. The good news is that we know today from extensive studies that the Moon is lifeless, so strict quarantine and planetary protection measures are no longer required for lunar missions. However, when humans are involved in future missions to Mars, it will be far more difficult. We can sterilize outgoing robotic spacecraft and equipment to prevent forward contamination via the transfer of ‘hitchhiker’ microbes from Earth to other planets, but obviously, we can’t sterilize humans before launch. And humans bring with them their complete set of microbes — so some level of forward contamination cannot be avoided. 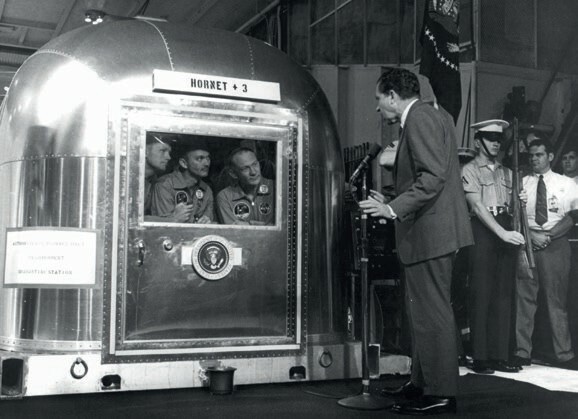 – Read more about NASA Mobile Quarantine Facility. Mobile Quarantine Facility. Quarantine was abandoned after Apollo 14 (Credits: NASA). SSM: How would planetary protection measures affect possible future manned missions to Mars? What are the current presumptions regarding such a mission and is anything going on in that area? MR: When human crews are involved in long duration missions to Mars, it will require development of an entirely new set of planetary protection protocols. Since astronauts haven’t gone onto a planetary surface since Apollo days, it’s like starting from scratch in many ways. Long duration human missions to Mars will require significant updates in infrastructure, technology, and operations, with planetary protection considerations applying to all aspects of the mission. NASA has recently begun updating its earlier Design Reference Architecture for future Mars human missions, and planetary protection is viewed almost like a ‘new’ complication — since human missions in Earth orbit over the past 40 years have not had to contend with planetary protection constraints or activities on planetary surfaces. SSM: Ethical questions also arise when extraterrestrial life is discussed; can you outline what are the biggest issues in that regard? MR: Making sure that we do responsible research and exploration. In addition, there are potential ethical questions associated with the ‘meaning’ of any verified discovery of extraterrestrial life. Scientists discuss the scientific significance of discoveries drawing from their varied disciplines. In Astrobiology, we want to know if there is ‘other’ life out there, whether it is based on DNA or like life as we know it, and whether it behaves and evolves in ways we are familiar with. Other types of significance and ‘meaning’ are discussed by philosophers, ethicists, and theologians. What would it mean if there is a distinctly different ‘other’ life discovered? Would it represent a ‘second genesis’ of theological importance? What should be the relationship between humans and verified extraterrestrial organisms? What environmental management policies would apply to planets with verified, distinct extraterrestrial life? All lines of ethical thinking are important to consider, but each is done by specialists in different disciplines. Each informs the others, so it is very cross-disciplinary. People have begun to question the potential ethical issues ahead in space exploration, just as we do with activities on Earth. In many ways, the ethical questions are similar to those associated with new and emerging technologies like synthetic biology, nanotechnology, artificial life, and so on. All have potentially challenging complexities in scientific, policy, and societal realms. It almost makes planetary protection seem simple!